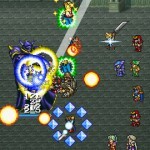 A classic adventure with a new twist, Final Fantasy returns to iOS. 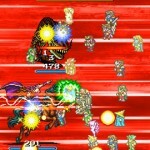 Even for those who have been bitten one too many times by the Final Fantasy bug, the latest game in the series, releasing on January 17th for iOS, namely Final Fantasy: All The Bravest looks pretty damn exciting. In a press detailing all the features, Square-Enix mentions that you’ll be able to take part in battles with some of the largest parties yet (and honestly, the screenshots say it all). 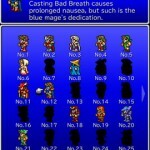 There will be 20 different jobs, with the in-game shop offering up to 35 characters from different Final Fantasy games. You can also purchase game stages from Final Fantasy VII, X, and XIII. Airships, goddammit! Not impressed? 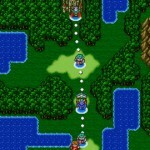 Besides featuring 30 classic songs from the series, familiar foes, extensive catalogs for everything you encounter, global leaderboards and touch functionality for multiple character manipulation, All The Bravest gives a neat little twist on the Active Time Battle system. Once every three hours, you’ll gain the Fever option, which allows you to continuously attack an enemy without waiting for your gauge to be full. Plus flashy lights. One can never go wrong with flashy lights. 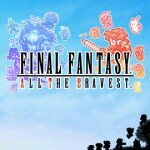 Check out Final Fantasy: All The Bravest on iTunes today.